For centuries pewter has had an honored place. It was popular throughout Europe and came to America with the earnest colonists. Then, as now, Pewter was cherished for its versatility, durability, and beauty. Full Color. No mimimum, No setup fee, No color charges. 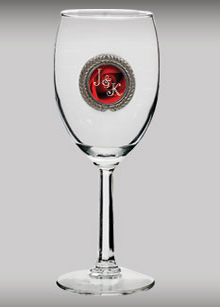 Our Pewter Accented Wine Glass holds 10 oz. of your favorite vino. Everyone wants a matched set or two! 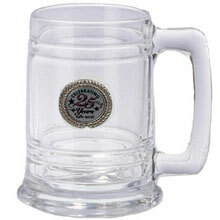 Pewter Accented Glass Tankard, 15 oz. Uses a 24mm (.94"). Disk Inset for a Round Decorative Detail Frame. 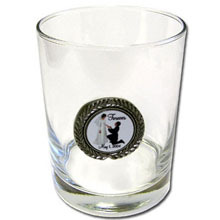 Great groomsman or your favorite beer fan gift item. Uses 94" Disk Inset for a Round Decorative Detail Frame.